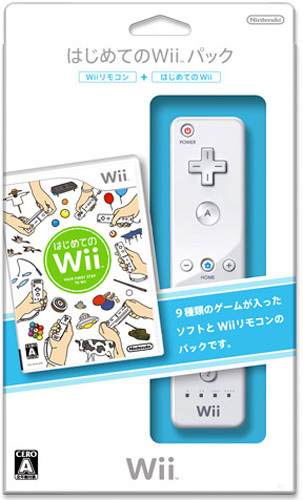 Also known as Wii Play, the bundle features nine various games to ground you in the skills required to play the console to its full potential. 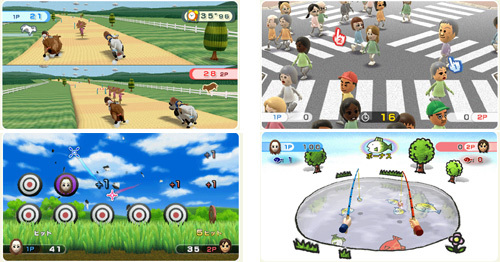 Nintendo takes you by the hand through a Duck Shoot style blast, a round of ping pong, a rack of pool - mimicking the cue action, a race with a herd of cows, a spot of fishing and a game of air hockey amongst others. All good, clean fun and an excellent starter title. Brand new. Includes bonus Wii remote and batteries. 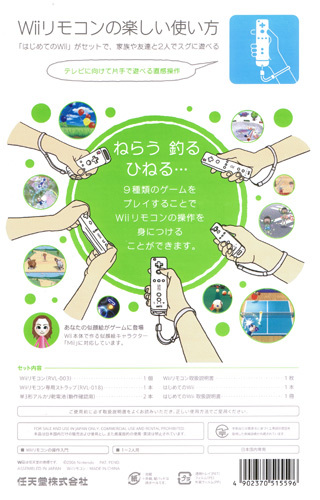 Please note this title is only playable on the Japanese Wii console.